Hello friends and happy April! I’m writing this post 7 days too late but better late than never, right? March was full of so many good things! Day to day life can feel mundane and repetitive sometimes but doing these posts help me to look back and see the beauty that each month brought. I would never have predicted that Indian food and ice cream would be good long run fuel, but alas, I ran 16 miles at 8:46 pace (in rain and wind!) the next day which was a huge physical and mental breakthrough for me! I have to thank my pally Ali for running the first few miles with me and starting the big workout off on a light and positive note — the momentum made the rest of the run come together. We enjoyed another date night (can your marriage ever have too many?!) at a new to us Italian place and we drooled over their red pepper + sweet balsamic bruschetta…so much so that we had to take a picture, of course. Our local college (Point Loma Nazarene University) men’s basketball team made quite a run in the Division 2 March Madness tournament…they went all the way to the championship! We got to watch their Elite 8 round at a home game with our friends Jenni and Justin. I cried because 1) I cry at everything and 2) I just love watching people’s dreams come true! I thought about how all of these college guys must’ve been dreaming of playing basketball at a high level and cutting the net since they were little kids and then I got all weepy. We went to a San Diego Seals (major league lacrosse) game versus the Philadelphia Wings with our friends from California Tap Room, our local “philly” bar. I got to gather with two great groups of women to celebrate Jenni and Jill’s soon-to-arrive bundles of joy! I am SO READY for all of the snuggles! I ran the San Diego Half Marathon as a Race Guard. It was a unique race experience — I got to get dressed and prepped for the race in the Padres dugout and we all finished on the field! Pretty fun day. Ali had a huge PR – we got to see each other before the race started. What were your March highlights? 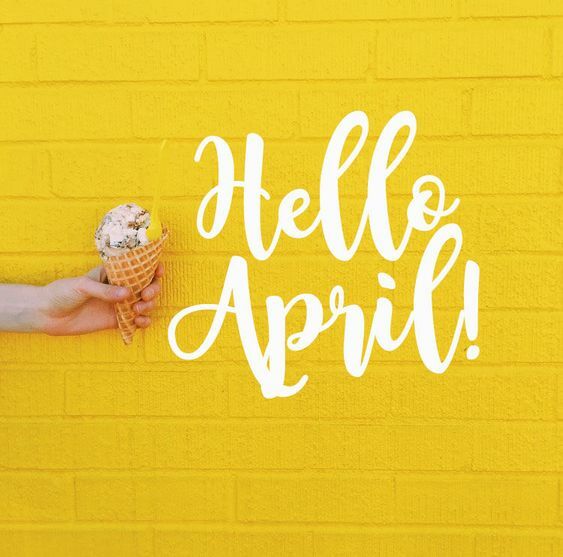 What are you looking forward to about April? And just like that, it’s March! At the risk of sounding completely cliche and redundant…man, time flies! I can’t believe we’re 4 days into March already. I know, I know, everyone’s saying something just like that but there must be some truth to it if we all feel that way, right? hosting Jeremy and Jill at our place for taco night. Tacos are always a good idea! Encuentro Guadalupe — rumor has it Rihanna rented out this winery once! Loving all of the reds at Casa Frida! and he got groomed – spa day! Enjoyed trying out my friend Karen’s son’s new kombucha business! Yummy! What were your February highlights? What are you looking forward to about March? Long time no blog! I hope you’ve been well and enjoying 2019! It’s only been a month, but it feels like forever since I’ve checked in here. I’ll admit, there’s been times when I’ve contemplated quitting blogging but it does give me so much joy to write, look back, and practice gratitude for the life and gifts that God has given me. Yes, blogging usually only displays the highlights of life — but those are the things that are worth remembering, right? I love celebrating both the little and big things in life and this teeny blog has served as a great space for that over the years. Didn’t January feel like it was about 4 months long? I don’t know what it was, but it seemed that time was moving like molasses. I’ll take it though, because January was a really sweet month for us! My brother and his girlfriend came to visit us for 10 whole days! I still miss them. One of my oldest and dearest friends and her boyfriend visited us, too, and we got to see her run the Carlsbad Marathon! She’s my favorite person and wicked fast. I kept running…I enjoyed a beautiful 11-miler with my running buddy at the start of the month (and got paid two sand dollars on the run! )…and then spent a few weeks off and rehabbed some achilles tendonitis and plantar fascitis that had been nagging me for a few months. All better now, though! Chad and I are working on completing the Five Peaks Challenge together, and we crossed off our second summit, – North Fortuna, hiking 6 miles total that day! I started a weekly running group in our beach town! The guy on the left is training for a FORTY-miler and it was the gal in the middle’s first time running 5 miles that day. It was special to be there for her big milestone! lots of rain and all of the goodness it provided for our plants and grass! Everything is SO GREEN. creating new workouts – here’s one for you to try! What God taught me in January: that the things we fear rarely ever actually occur – and even if they do – Jesus is greater than any storm we could face and He promises to walk with us through it. When we consider that truth, there really is nothing to fear or worry about. What were your January highlights? What are some of your simple joys right now? We love granola in our house! But what we don’t love so much? All of the sugar and weird ingredients in most premade granola from the store. I researched a few granola recipes online and came up with this delicious, easy recipe based on what we had in our pantry at the moment. The great news is that you can add in whatever flavor or mix-ins you like to make it your own! I also feel so happy whenever I can make something myself and save on plastic/unnecessary packaging. I love storing this granola in repurposed glass jars and it also makes for a great gift for a friend or neighbor. Bake the mix-ins in a glass dish in the oven for 5 minutes. Remove and stir, then bake in the oven for an additional 10 minutes. Remove the dry mixture from the oven and add the wet mixture. Stir and spread evenly. Turn the oven down to “warm”. Place a single layer of the granola onto a baking sheet lined with wax/parchment paper. Place the granola back in the oven for 15 minutes. Check and stir occasionally. Since the oven is on warm, it will toast and get crunchy, but it won’t bake and burn. Remove from the oven and enjoy! This granola is great in yogurt, on top of a fruit parfait, or in a smoothie bowl. The next time you’re craving granola, give this healthier recipe a try! Chances are you already have everything you need in your pantry. You can complete this fun, quick, effective HIIT workout at home or the gym! It’s a ladder style and all you’ll need is a set of dumbbells. I had my class complete this workout earlier this week (to the sound of Christmas songs, no less) and they loved it. I hope you will too. If you give it a try please let me know how it went! Or consider posting a sweaty post workout selfie and tagging me so I can give you a virtual high-five. Have fun, and most of all – I wish you and your families so much love and joy this Christmas! Happy Monday and HAPPY FIRST POST OF DECEMBER! The best month of the year! Christmas is upon us and it’s officially not too early to be listening to Michael Buble’s Christmas album on repeat or to light all of the pine-scented candles. Woohoo! Despite my Christmas cheer, this week has been a little bit tough! During my run on Tuesday, I noticed some odd pain in my ankle. I tried not to think much of it and thought maybe it just felt weird from the boots that I wore to work the day before. The next day, it hurt pretty badly to walk on. I tried running again on wednesday and it was even worse. So, I took Wednesday-Sunday of this past week as cross-training/rest and ran a whopping SIX MILES this week. Yep, no fun. I’ve been trying to be as positive as possible and have been praying that this is just a small tweak and not a full-blown injury. My ankle felt much better on Sunday so I’m going to try going for an easy run today. Stay tuned on that – hopefully it’s all better and I can go back to normally scheduled training…I just don’t feel myself without running consistently! But this week has been a good lesson that running is a fun part of my life but it’s just that – a part – and it should never be my whole life. I’m thankful for that reminder. Sunday: TOTAL REST! According to my Garmin, I only took about 5,000 steps total. I’m counting that as a win and hoping that taking it easy did the final trick to heal my ankle. a sapporo + sushi date with my man at our regular spot. This was the first restaurant we ate at when we moved to California and it’s been our special place ever since! this week, we got our first california christmas tree! and most of all — grateful that we have these friends who have become like family, to kick off the Christmas season with! Happy Wednesday friends! This is a very delayed post (this week has already been crazy busy) but I wanted to check in with last week’s training recap nonetheless. I am about 4 weeks away from starting my official training for marathon #4 and I really enjoy documenting the little daily work put in each day, knowing it will add up to something great come Spring. Thank you for reading along! I hope you find it helpful and encouraging for your own health/wellness journey. I also have some fun questions for you at the end of this post so be sure to answer in the comments! Thursday/Thanksgiving: my DIY turkey trot tradition continues! 3.1 mile run (Chad followed me on the bike) at the beach and river bike path. 8:03/mi pace which felt fairly easy effort! I made us a cranberry electrolyte mocktail to get in the holiday spirit after the run, while we prepped food for our Thanksgiving feast. Cranberry Mocktail: fill a glass 3/4 with water, add splash of all-natural cranberry and orange juice, 1 tablespoon of apple cider vinegar, a pinch of salt, and squeeze of lime. Friday: 6 mile run @ 8:46/mile in the morning. Literally “ran” into my pal Ali! Love an outdoor morning run, thanks to a day off from work! On Friday afternoon, we went to C’s boss’ house to watch the Virginia vs. Virginia Tech basketball game. Chase especially loved playing in their beautiful backyard! Our weekend overall was extremely restful, and included lots of naps and games together! Bananagrams is our go-to favorite. Saturday: taught HIIT class, made a giant batch of green juice, and went on a 12 mile bike ride with Ali. We’re lucky to live somewhere so pretty to explore! On Saturday evening (after yet another nap!) Chad suggested that we have a family sunset date. So that’s exactly what we did. Sunday: 10 miles @ 9:01 pace. My goal marathon pace for May 2019 is 9:05. So this gave me hope that I have the building blocks to work towards that. After my run, I helped in the nursery at church (baby snuggles! ), grabbed sandwiches, and watched the Eagles finally (and just barely) pull off a WIN with C.
1. What was your favorite thing about Thanksgiving this year? 2. Do you love or hate HIIT workouts? 3. Given ideal weather conditions, where is your favorite place to run? Have a wonderful, happy week!